DOCK UP AND ROCK OUT. 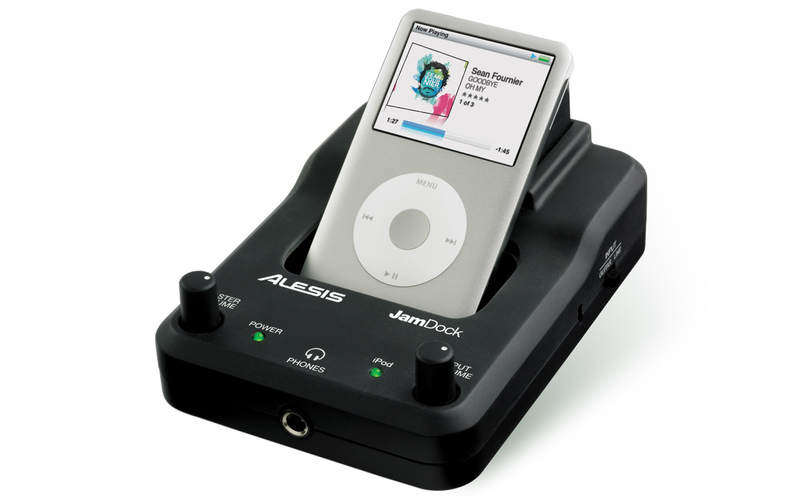 JamDock is the first dock for iPod that was designed specifically for musicians. Nearly every musician has an iPod, but until JamDock, there has never been an easy and clean way to integrate your iPod into your practice or stage setup. JamDock enables you to mix your iPod and your instrument and practice with headphones, amp, or PA system. You can also use your iPod to play backing tracks live. 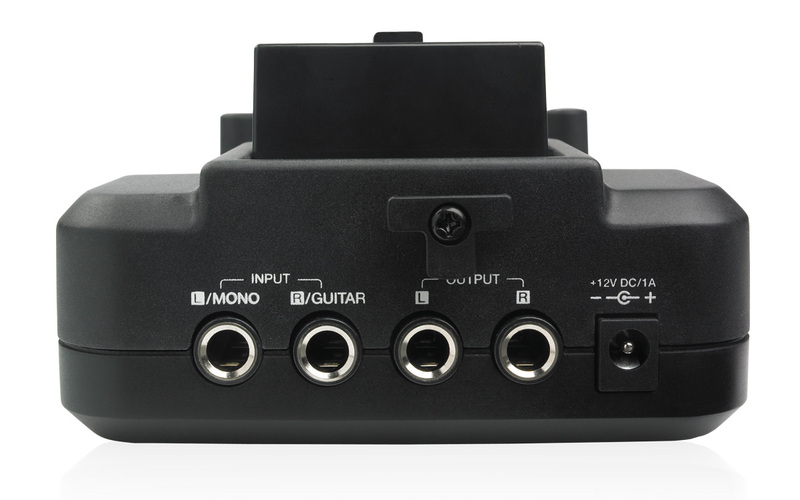 JamDock has two 1/4" inputs that work with both line-level sources and high-impedance guitars and basses. The inputs sum to mono when there is only one side present, so you'll hear your guitar on both sides of your headphones. A pair of 1/4" outputs feed your amplifier or PA system, and a 1/4" stereo output feeds your headphones. You can use JamDock on a flat surface, such as a guitar amp, or mount it on a drum rack or stand using the e-percussion Module Mount, sold separately. JamDock also comes with a trial subscription for drumless songs from minusDrums.com for fun play-along sessions. Jam out with the only dock designed for musicians!